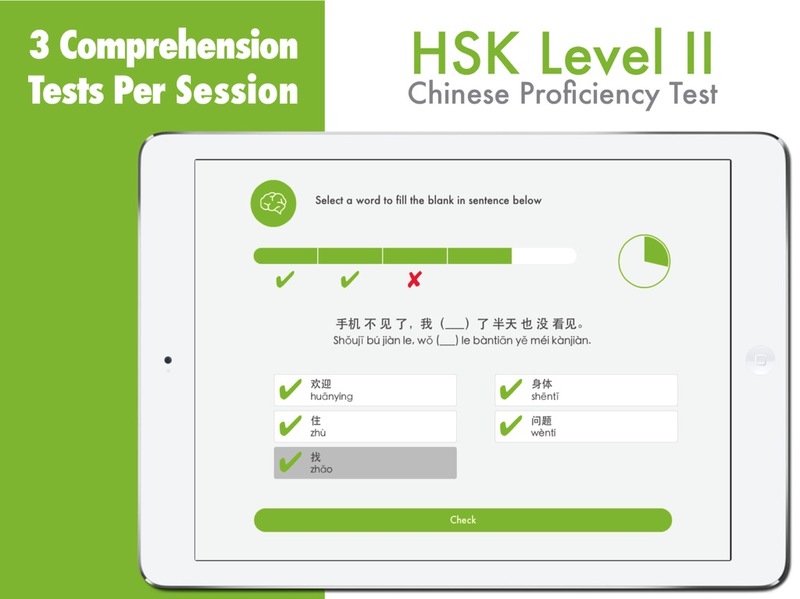 HSK Level 2 includes 10 HSK Chinese Proficiency Tests that follow the New Edition of the Official HSK Chinese Proficiency Test. 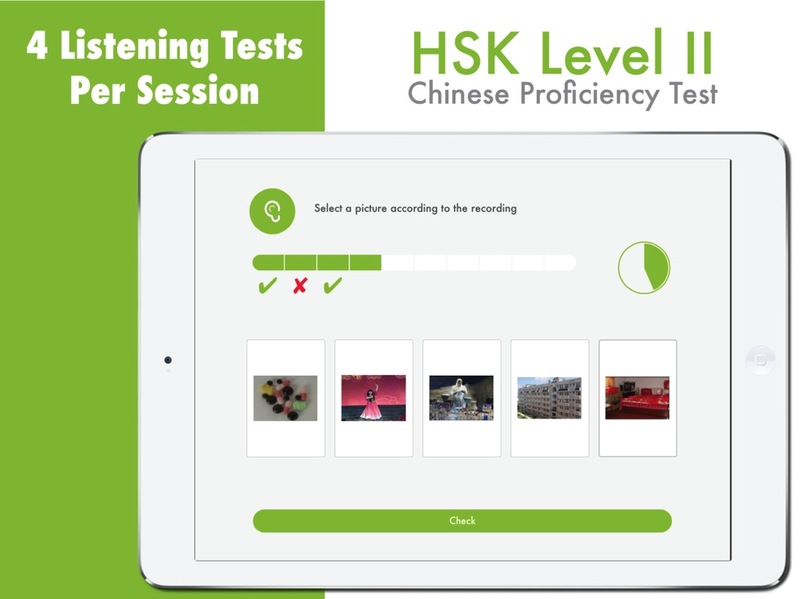 Each HSK Chinese Proficiency Test includes 4 Listening sections and 4 Reading/Comprehension sections with corrections. 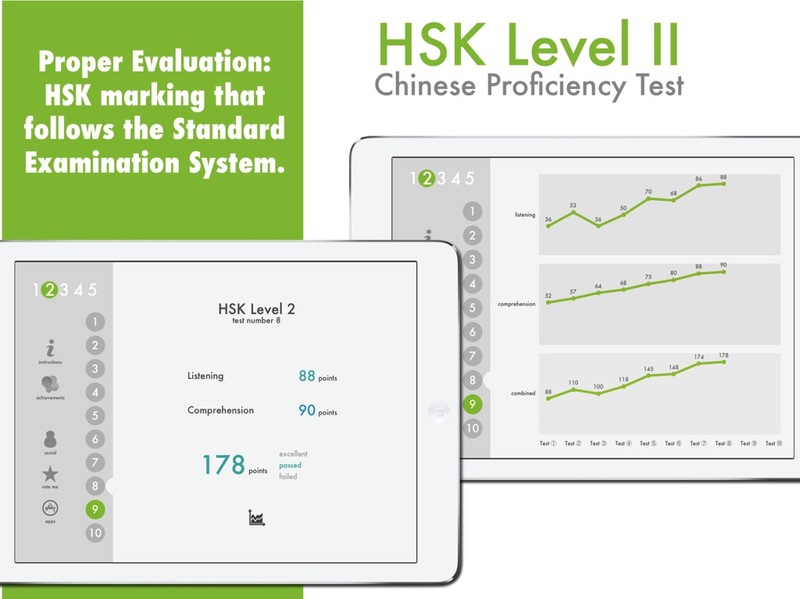 HSK Level 2 was designed from ground up to prepare the student to take the New Edition of the Official HSK Examination Level 2. 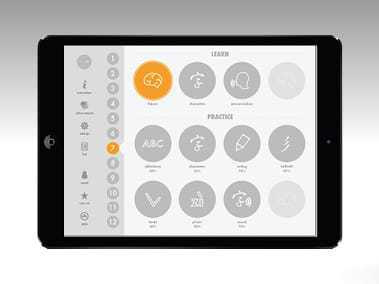 ``HSK Level 2`` is designed from ground up to prepare the student to take the New Edition of the Official HSK Examination Level 2. 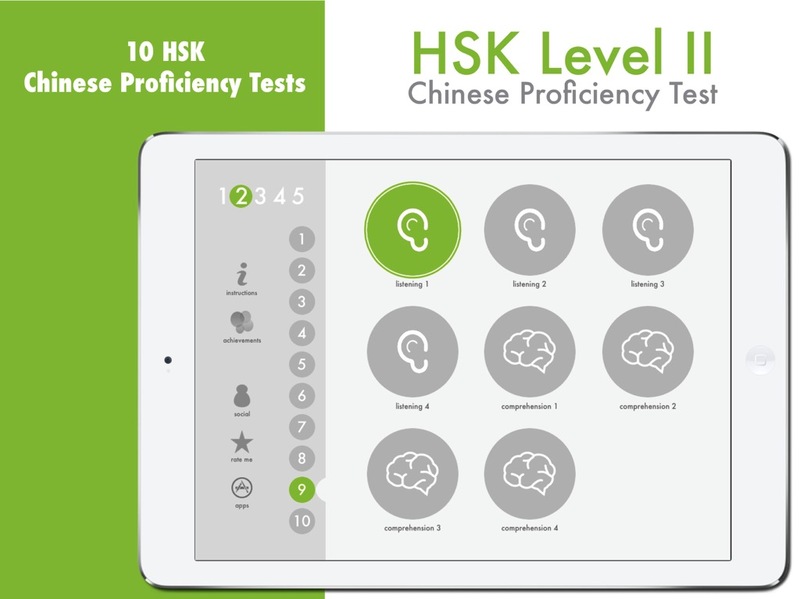 T he App HSK Level 2 includes 10 HSK Chinese Proficiency Tests that follow the New Edition of the Official HSK Chinese Proficiency Test. HSK Level 2 is designed from ground up to prepare the student to take the New Edition of the Official HSK Examination Level 2. Note: HSK Level 2 is part of a series of 5 levels that are developed in collaboration with the University of Central China of Economics & Law (中南财经政法大学), and New Concept Chinese Language Technology. The content of the HSK tests is provided by the Doctor and Assistant Professor Long Youzhen (龙又珍, 博士, 副教授).